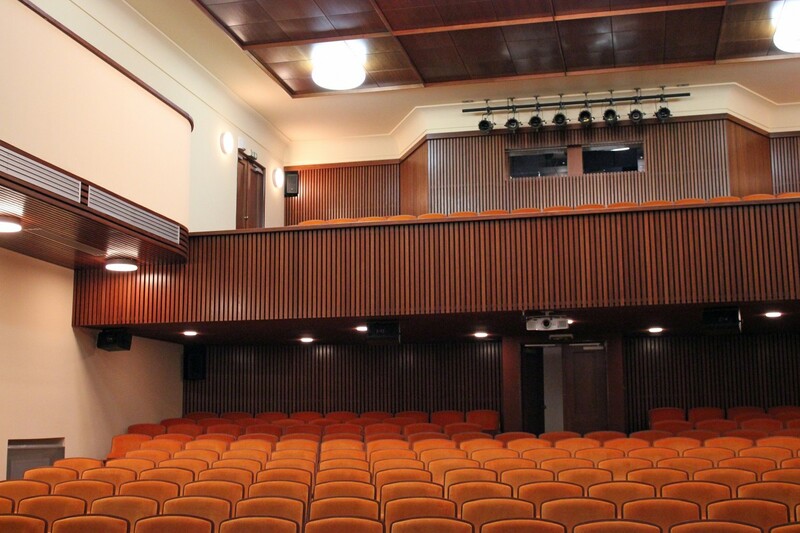 Quaintly tucked away within the Old town of Pisek, Southern Bohemia in the Czech Republic, a country similarly noted for its own ‘quiet velvet revolution’, a similar broadening of minds and ideas has been undertaken within the beautifully recently renovated Civic Town Theatre. 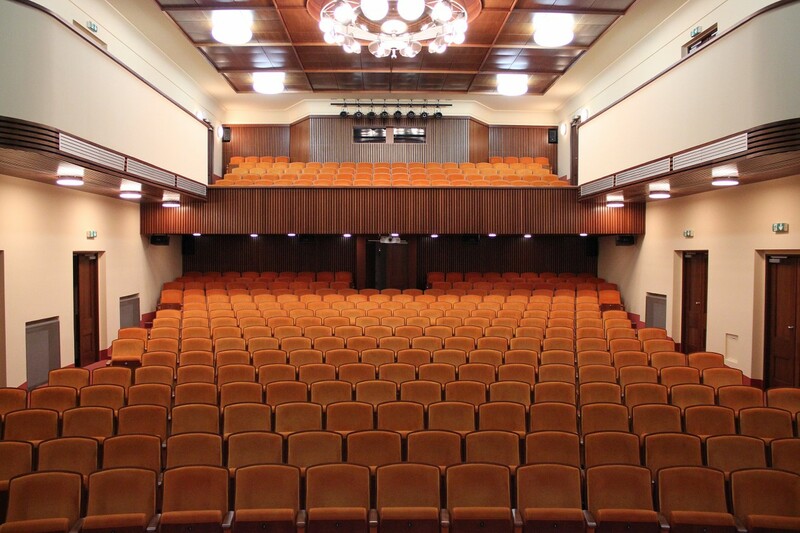 Pisek Town Theatre is a traditional multiple seat venue, originally brought to life way back in 1868, presenting the entertainment of the day and then seeing a re-build and update in 1937. In 2010, local re-elections brought a Civic idea to completely renew and update what had become a very tired and sorry building. The decision made and agreed, the budget was made available from a mixture of City monies, the Ministry of Culture and Government funding. Before any contracts and works began, the Officers of the town undertook a policy of visiting several theatres, from large to small around the country to both see and hear what the finest visual and sound experiences were on hand. 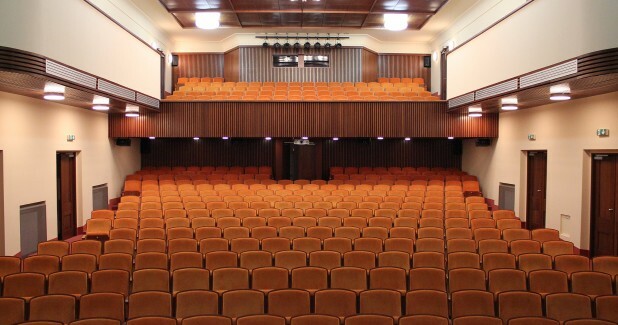 One theatre already stood out to them, namely the existing Culture Theatre also based in Pisek, which had been updated with new KV2 Audio loudspeakers and control, and it was then based on the performance of this system compared to the many various others that they specified a complete new KV2 audio design for the forthcoming re-build. 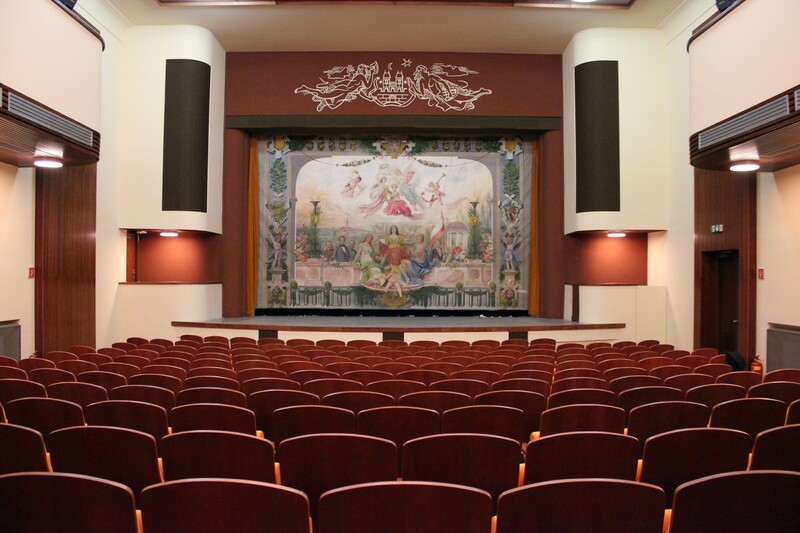 However, the expectations and demands were extremely high, with specific wordings that the system had to present and reproduce the ‘spatial and depth of perspective throughout the theatre, regardless of where a listener was seated, as well as the system could not be seen-it had to be completely built in and not to waste the plain but functional aesthetics of the new architectural design. 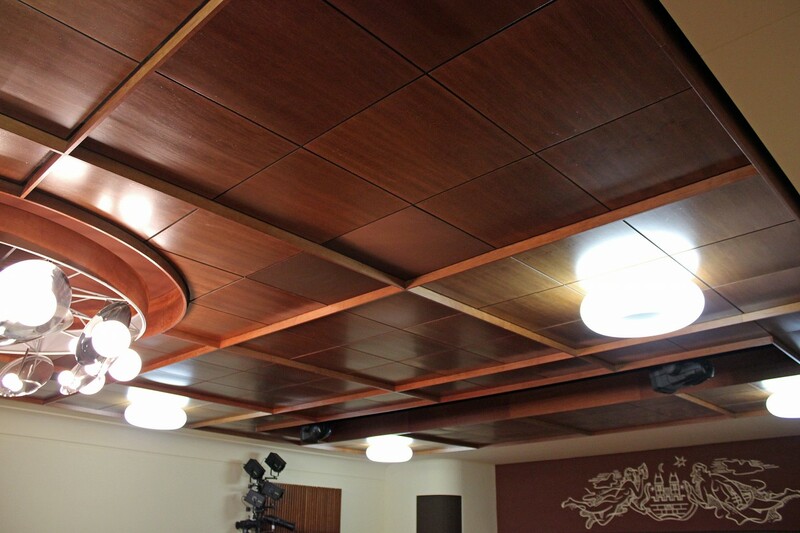 This was done by in effect creating two individual systems: One could be called the Music system, which is more like a traditional Front of House, Left and Right suspended affair, with ESR215 loudspeakers utilized in columns each side of the stage, but actually built into defined acoustical recesses in the walls so you do not see the speakers. 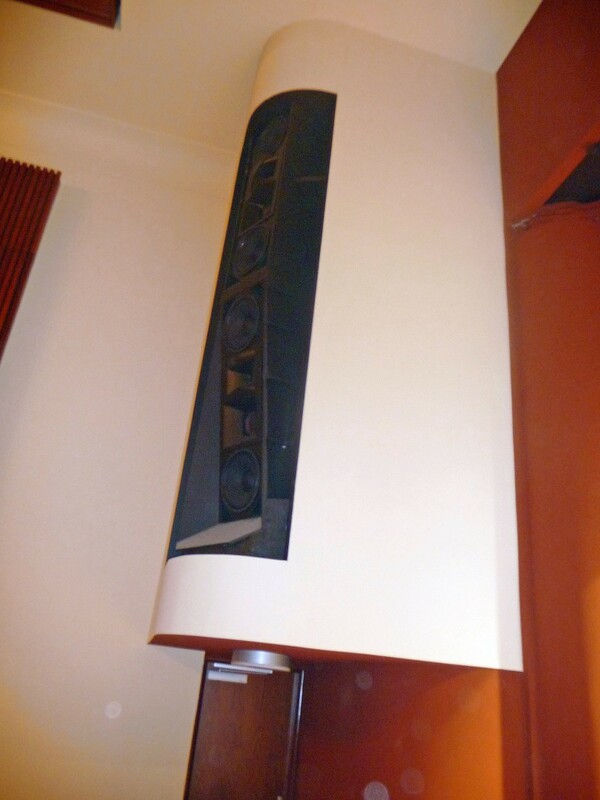 These very wide dispersion units create an amazing effect so that no matter where you sit within the auditorium, the stereo and spatial effect stays with you, creating a very relaxed and natural sound making any reproduction sound full, balanced and not directional in any way. 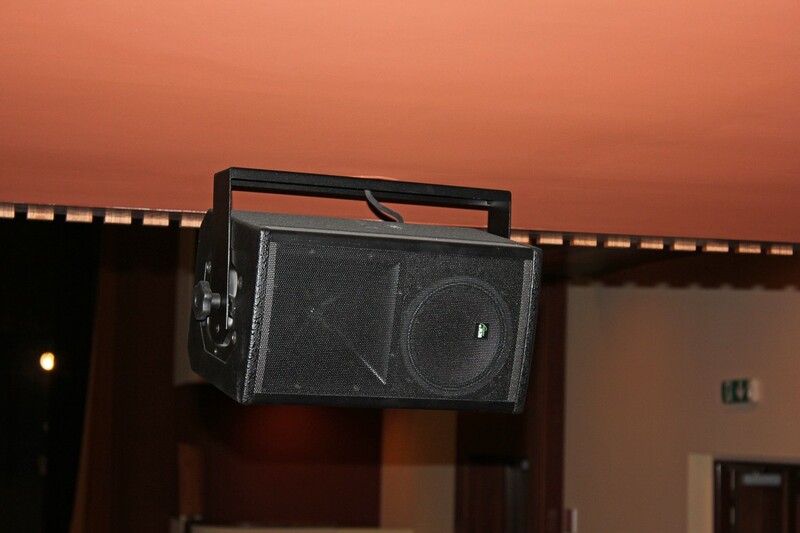 Coupled to the ESR3000 amplifiers is an intriguing method of employing Subwoofers: George took the radical move of actually placing four single21”subwoofers virtually dead center of the auditorium in the ceiling. The idea behind this was because in this position at the height, the seats within the theatre were all within an ideal proportion of similar distance from the subs. Secondly these bass signals couple with the floor rather than the back wall meaning that with only minimal signal the bass response is ideal in a seated position. 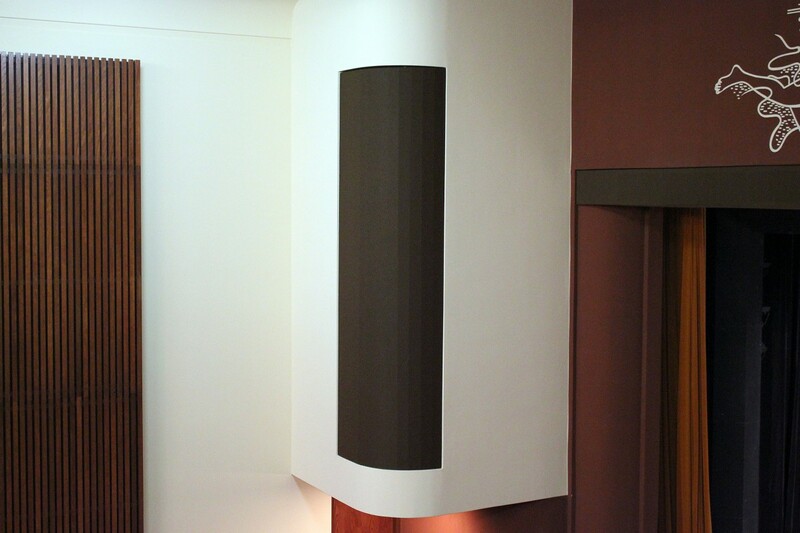 Taking into account that these subs were only presenting the last octave of the whole sound, the apparent coverage and response throughout the room is remarkably smooth and totally integrated-no hot or cold spots, peaks or holes. 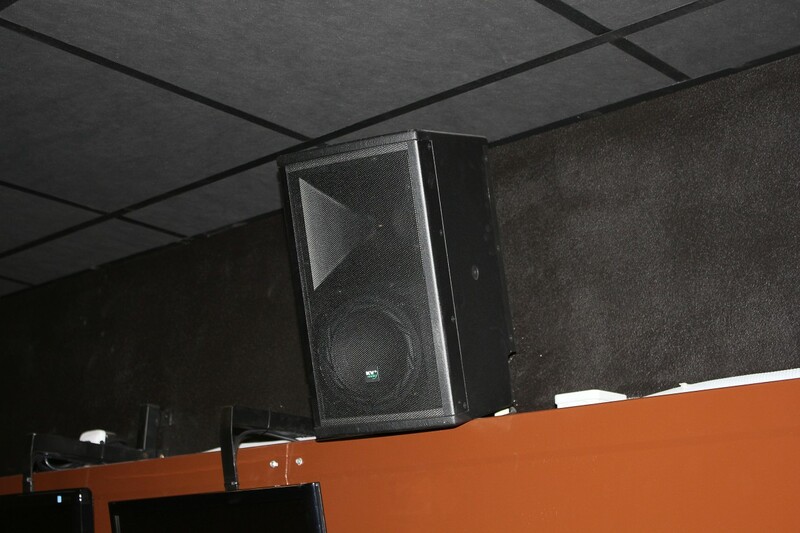 Four small KV2 ESD6 two-way enclosures are used to provide and continue intelligibility underneath the balcony and are delayed to virtually disappear. The second system as such could be more described as an ‘actors or speech/play system’. When a play or acting is shown, then without music, the main system is not usually used. Instead a separate system is employed, complete with special preamplifiers, amplifiers and custom designed and built microphones, again all discreetly installed, but operate in such a way that the listeners experience the true ‘movements’ forward and back as well as sideways within the stage-creating a truly natural feeling as if you immediately at the front of stage, but regardless of where you are actually seated within the theatre. On the stage itself, KV2 SD8 microphone preamplifiers are used each side for all microphone inputs and there are a total of four ESD12 loudspeaker enclosures virtually within each corner of the stage, specifically employed for either special effects and or monitoring. Both ESD12’s and 6’s are all driven and controlled via the use of a KV2 SAC2 controller and ESP4000 4ch amplifier. 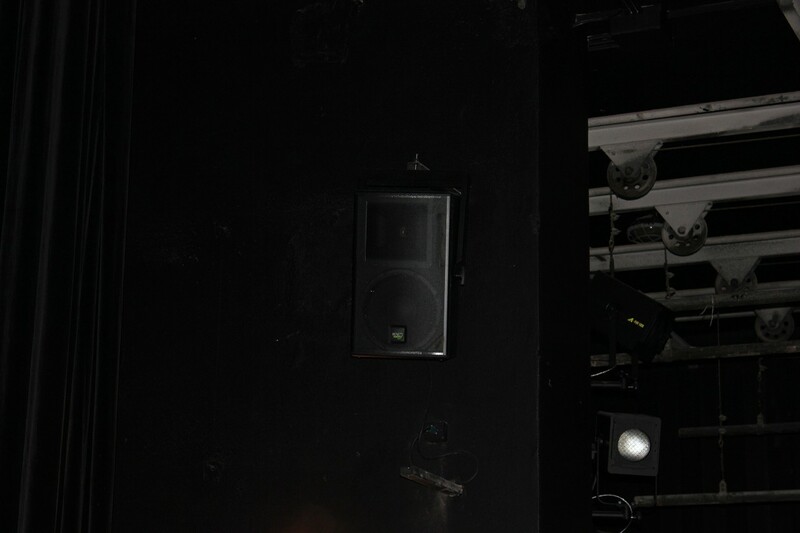 A further three ESD6 units have been utilized at the immediate front edge of the stage/orchestra pit, again built in to ‘bring the sound down’ from the stage at the immediate front rows. Overall the Civic governors and members of the Town have all openly and proudly declared that they feel the Theatre system is the best sounding and operationally most successful in the Czech Republic. Both visitors and performers are expressing their appreciation and preference for working within this very special Theatre. To date several forthcoming projects are due for a similar design.